To help county residents reduce the number of mosquitoes on their property, Rockland County Executive Ed Day and County Health Commissioner Dr. Patricia Schnabel Ruppert announce the availability of free fathead minnows, a type of fish that can control mosquito breeding on your property. The Fathead minnows are available for pick-up only on Thursday, April 26 from 4:30 – 6:30 p.m. at the Health Department, 50 Sanatorium Road in Pomona. Follow the “Free Dunk/Fish” signs from Sanatorium Road to the give-away location. Call 845-364-3173 on April 26 during normal business hours to make sure that the fish give-away will take place as scheduled. The Health Department will provide the required permits to allow you to stock the fish within Rockland County. The fish will be in a sealed bag for transport. Please bring a bucket or small cooler. For more information call 845-364-3173 or visit http://bit.ly/2na0BSG. 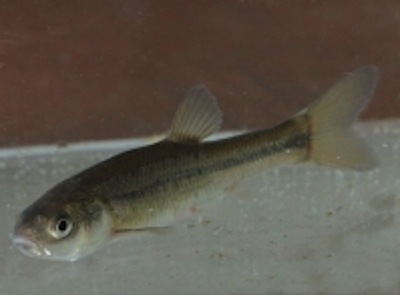 Fathead minnows eat mosquito larvae before they become flying, biting adults. They can eat up to 200 mosquito larvae per day. The fish can be placed in unused swimming pools, ornamental ponds, and other similar areas that have a minimum of eight inches of water. It is not necessary to stock streams and rivers with these fish, as mosquitoes generally do not lay eggs in moving water. If fish are already present, it is not necessary to add Fathead minnows, as the existing fish population should provide appropriate mosquito control. The Health Department is also offering a free one month’s supply of Mosquito Dunks® at the fish give-away on April 26, and also Mondays – Fridays, from 9 a.m. – 4 p.m. at the Health Department, Building D, 50 Sanatorium Road in Pomona. Dunks are small, donut-shaped objects that float on the water’s surface and release bacteria that kill mosquitoes in their larval stage in water, before they become flying, biting adults. They are for use in closed or unused private swimming pools and spas, and are effective for approximately 30 days. A single dunk will treat an area of about 100 square feet. In addition, residents can request free larvicide tablets by calling the New York State Department of Health at 1-888-364-4723. For more information call the Health Department at 845-364-3173 or visit the New York State Department of Health webpages at www.health.ny.gov/diseases/west_nile_virus/ and www.health.ny.gov/diseases/zika_virus/.